Welcome to Fr. Vinaya Kumar, O.SS.T. Rev. Fr. Jins, O.SS.T., The Minister of Thrissur community, introduced Rev. Fr. Vinay Kumar, O.SS.T. to the Community as the assistant Formation Director of Holy Trinity Ashram, Trissur , in the presence of Rev. Fr. Binoj, the councilor for formation, reading the Appointment letter. 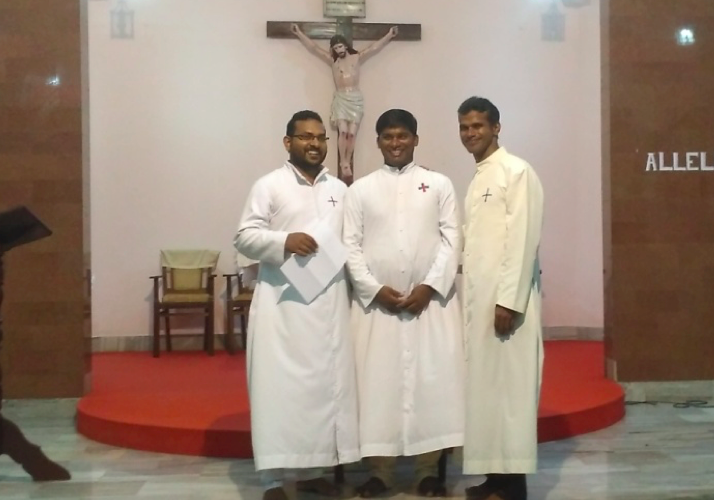 The community extended a warm welcome to Fr. Vinay and wished him all the best in his new ministry.